The world’s toughest satellite phone, Thuraya XT was designed to withstand the harshest of environments and the most extreme conditions to ensure you stay close, however remote the location. The combination of advanced voice clarity technology and an omni-directional antenna ensures an uninterrupted signal even during non stationary calls, offering users a real ‘walk & talk’ experience. 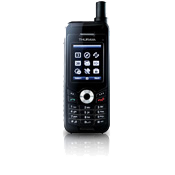 Thuraya XT-DUAL is a dual mode phone that works either in GSM mode (900/1800/1900 MHz) or in Satellite mode. With Thuraya XT-DUAL you can simply switch between Satellite and GSM modes which gives you highest flexibility to find a network wherever you may go. Thuraya XT-DUAL operates efficiently when you are within the reach of GSM networks and when you move to a location with no GSM coverage you can simply switch to the robust Thuraya satellite network. 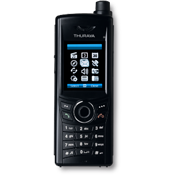 A smart 3-in-1 integrated handset with satellite, GSM tri-band and GPS functionality, the Thuraya SG-2520 provides seamless mobility beyond land-based telecommunication systems. 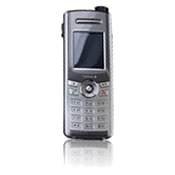 In GSM mode you can make and receive calls in all GSM areas with 900, 1800 or 1900 MHz frequencies. If you are outside the GSM coverage area you can make and receive calls from any destination within Thuraya’s coverage area spanning 140 countries across Asia, Africa, the Middle East and Europe. Thuraya SG-2520 is the first satellite phone with Bluetooth allowing hands free operations.The GPS feature in your Thuraya SG-2520 is a powerful tool for navigation and personal security, providing reliable, accurate global positioning information. Quite simply, it’s the world’s smartest satellite phone. Our products work with a number of accessories, including charging adapters, docking adapters and more. Thuraya Prepay enables you to credit your existing Thuraya account at any time, using scratch cards purchased from one of our service providers in more than 140 countries. 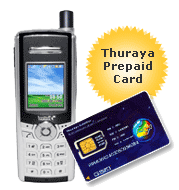 Thuraya offers scratch cards that are available in various denominations starting as low as 10 units. These can be used to refill your Prepay account in many different ways. A Thuraya Postpay account provides you with monthly bills, meaning you can use your Thuraya handset now and pay later. Postpay offers unlimited usage without the need to top up credit as you go. With a one-time only access fee and rates that are generally lower than Thuraya Prepay, Thuraya Postpay also provides additional roaming functionality. Copyright 2011, Ariana Commerce Corporation. All Rights reserved.